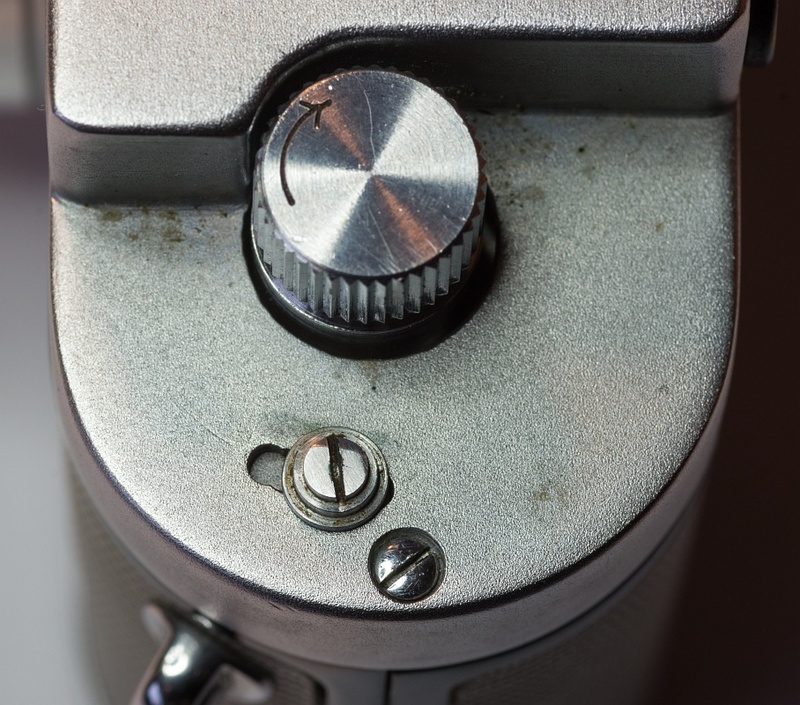 6) Different screws that hold the shutter on bottom, looks as if it could be removed at one piece. I will see this when I try to diassemble it. The I'll make more pictures of the inside. It is totally functional and nothing of the differencies are selfmade. So, what is it? 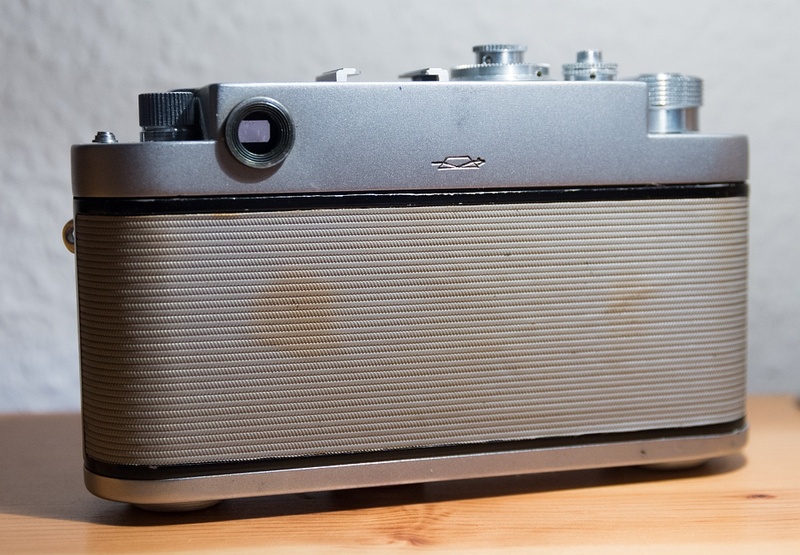 A Zorki 4 prototype? AFAIK, it's a medical Zorki-4. Supplied as part of various medical(science) devices: microscope attaches(MFN-x), eye-/gastro-scope, etc. Not unical, but NOT often meeting. Xalmaz, I don't think so. I own a Zorki 4 Medical set in a wooden box. The Zorki body of the set looks like a total normal Zorki 4 and has only a different mount. 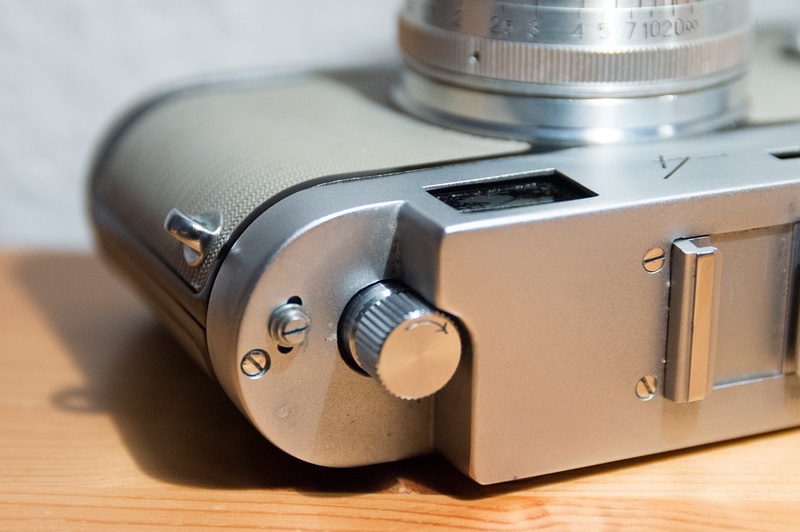 The rangefinder could be different inside, with such a button instead of a concentric lever. 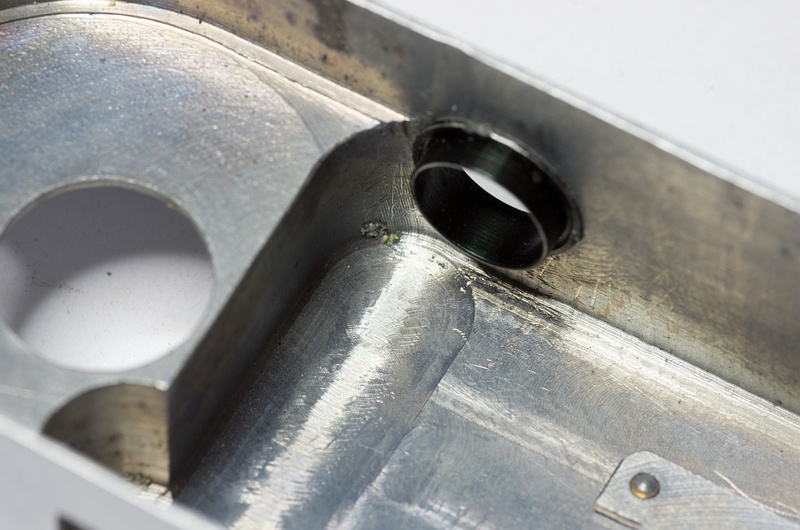 And the usual screw on the front, to reach the internal regulation of the rangefinder, is absent too. 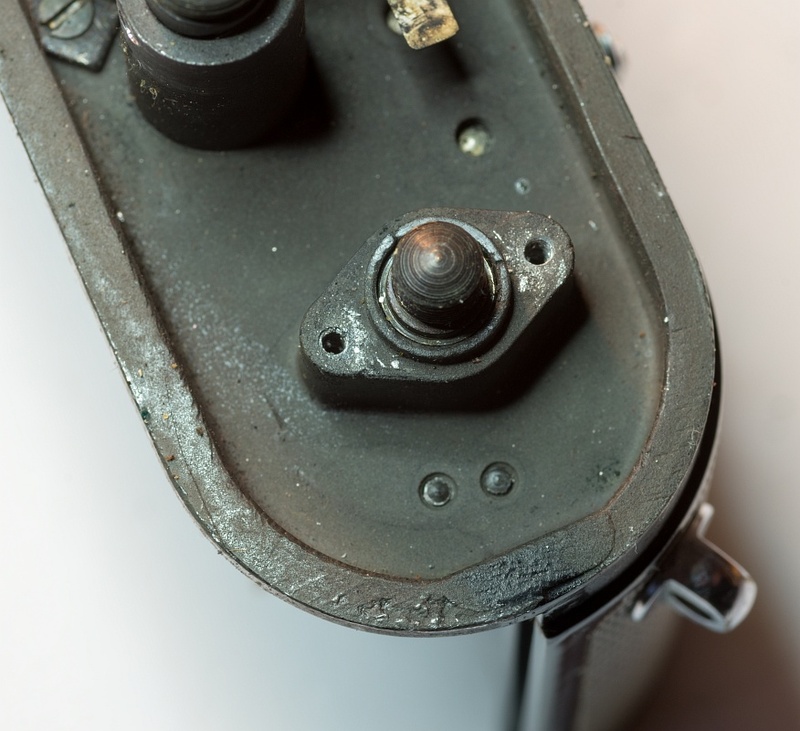 That remembers the evolution of the Zorki 3: no screw on the first ones, screw for the running production. You're right, very unusual sample. Probably disassembling tell something. Ulrich! That is a fantastic camera congratulations! 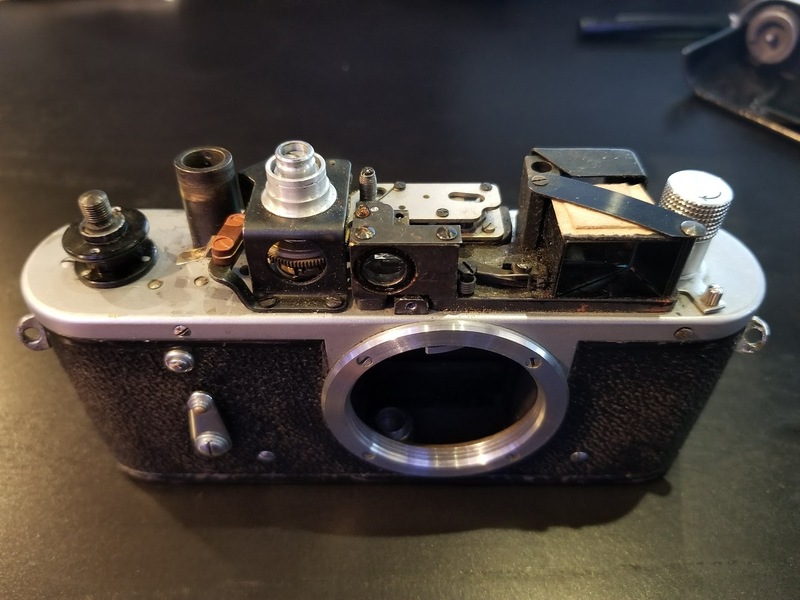 I believe this is a prototype made mid-production as an attempt to simplify the production of the camera with a single-piece top cover that seems like was not approved by the management as it would require significant changes in assembly line at the time.. 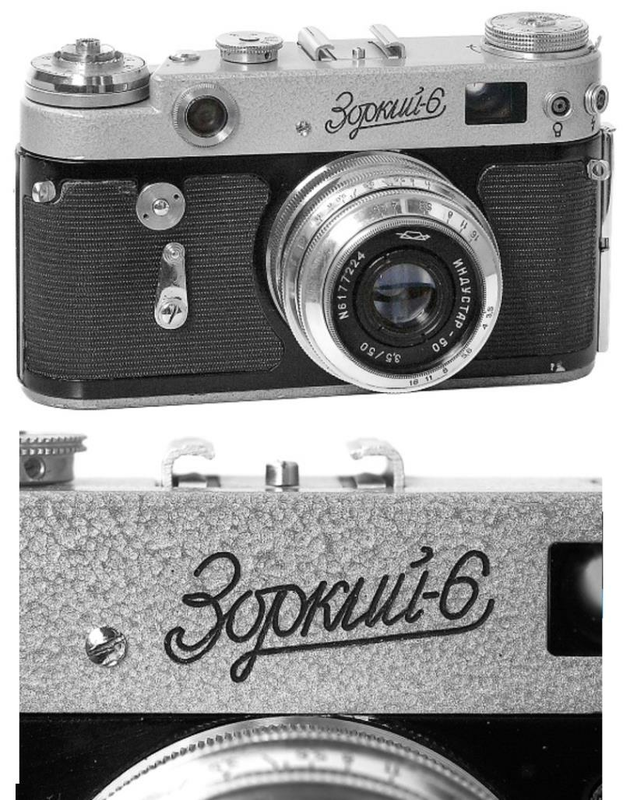 It may also have been a transitional camera or a prototype for Zorki-5 as the single top cover design started in 1958. So this is a very historically significant camera! If you could add it to the catalog it would be amazing! Congratulations once again! I am waiting anxiously for disassembly picture! After that I will put it into our Wiki. I completely share Vlad's opinion. The molded cover looks like a Zorki 5's. 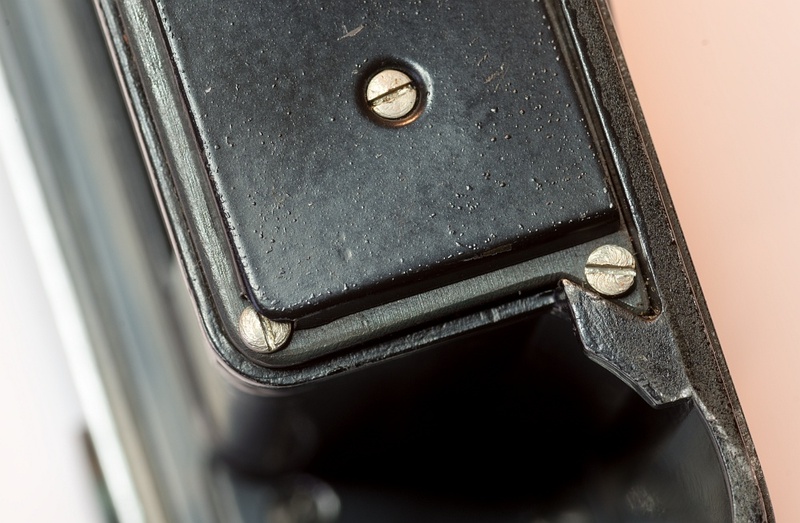 The reinforcement for the lens does not exist on the belt, here. 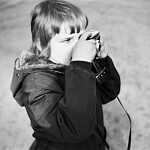 A sort of return to the past, or a look towards the Zorki 5... 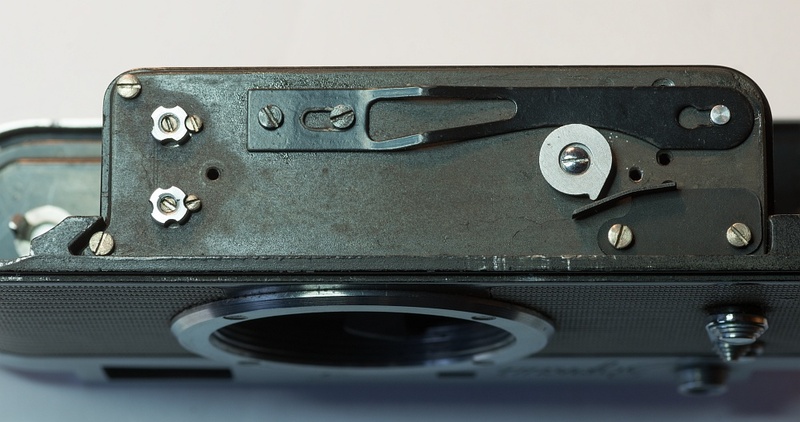 The lack of any front screws is another mystery: how is the shutter box correctly fixed to the belt? Certainly you will have surprises when opening your find, Ulrich! - The top cover is not moulded, it's milled from one piece, see the pictures. 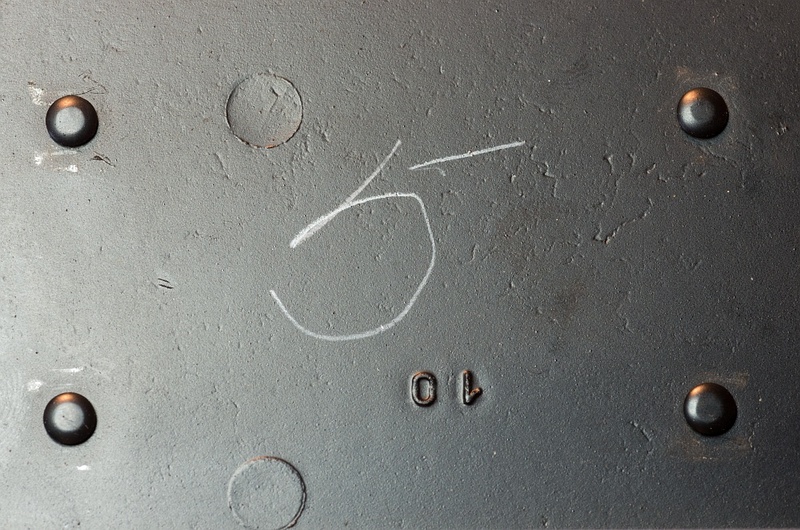 - Under the film pressure plate and inside the top cover is a handwritten "5". 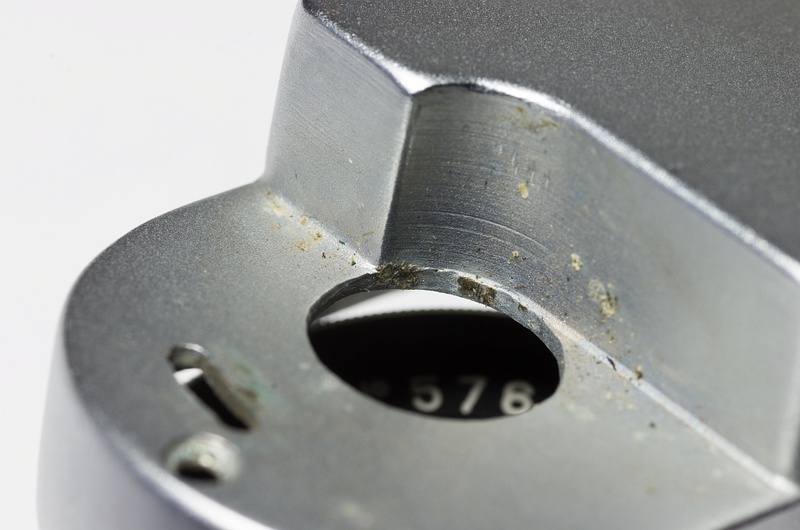 - The screws of the mount ring were secured by laquer. 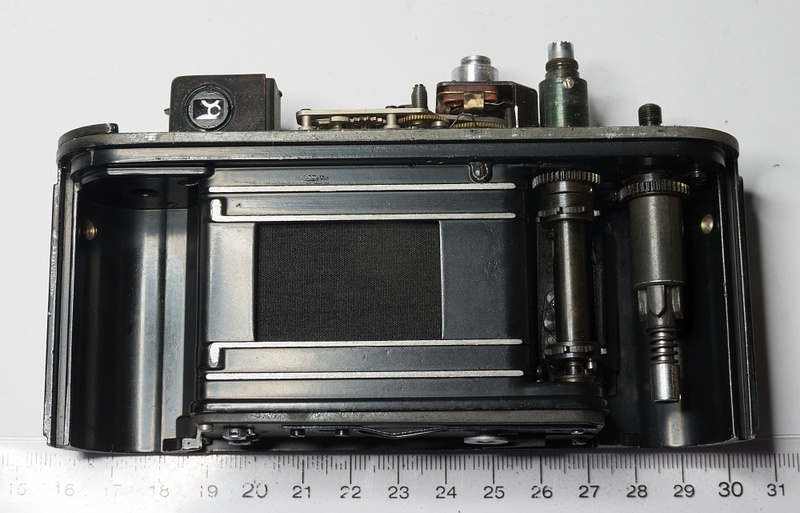 There are more interesting details, the screws on the bottom for the shutter, the screw on the back on top that seems to hold the shutter and so on, just see the pictures. The next step will be to see how the shutter is attached to the body and if it could be removed. Wow, this is a very different camera! Thank you for disassembling it, the hidden screw for the top cover especially surprised me . Here's a 1957 Zorki-4 with first top off for comparison. Quite, quite interesting camera, congratulations Ulrich! Yes, I also wondered how many changes there are just under the top cover. Now I think about to open a Zorki 5 to see the differences. 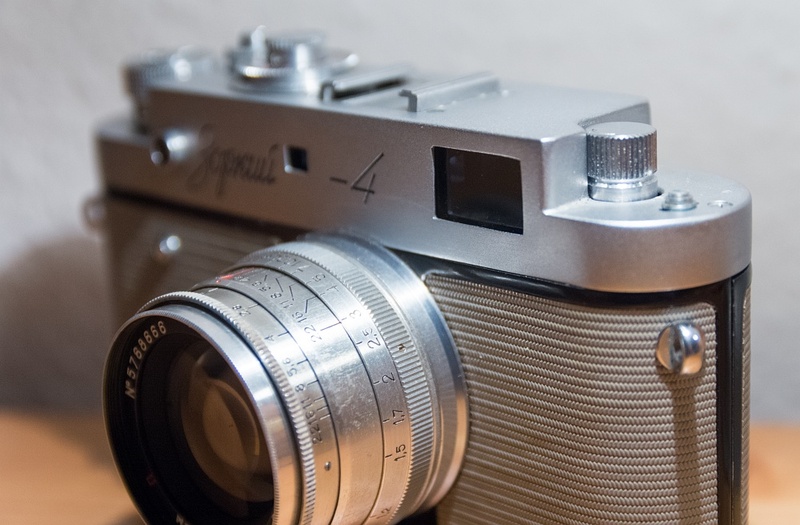 But the biggest questionmark in my eyes for me is why havn't we heard of such a Zorki 4 before? It's on no website I know, not in Princelle, not in the 1200 cameras from the USSR book. And how much were made of them, mine seems to be number 5, but of how much? Oh Ulrich, there are so many Soviet cameras we haven't heard of! 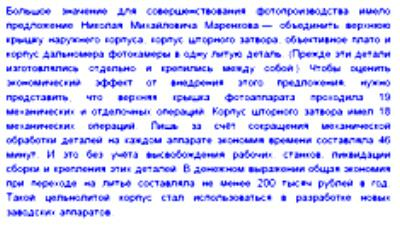 .. You have to realize, the camera production in USSR was a front for 80-90% of seceret military production in those factories.. A lot of the archives that contain information about these prototypes sometimes still fall under top-secret/military non-disclosure.. In Arsenal lots of it was just simply destroyed because they were classified when the factory was closing.. but I'm sure if you dig deeper in KMZ archives you will find so much more! Maybe Zoom knows something about this Zorki 4? Undoubtly a great neat construction! And of course the camera of our 2017 Christmas! This camera shows a clear construction ressamblance with the contemporary Kristall and shares the same large spring in the bottom. The top cover although not painted as on Kristall SLR, is of cast alloy. The bach cover is also taller and easier film loading. 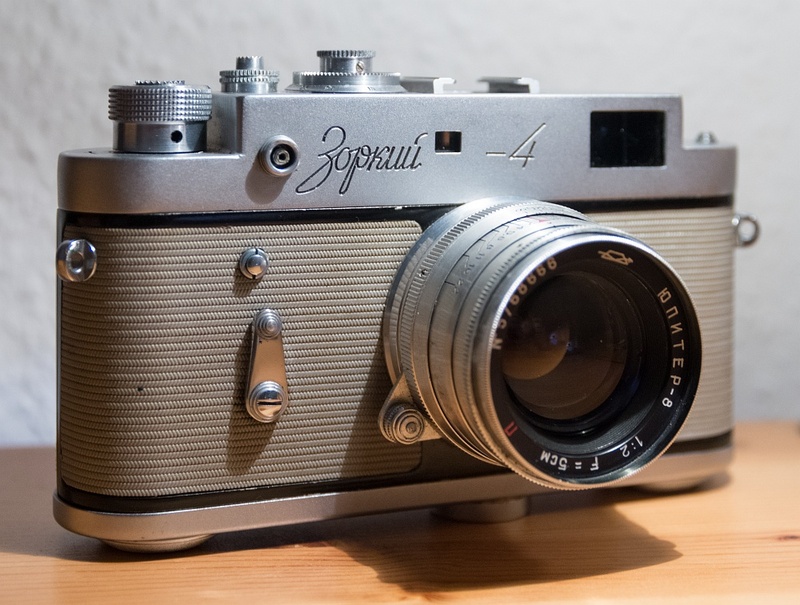 According to my view, this prototype is a tentative in standartize shutter mechanics together Kristall and future Zenit 3M and also not the Zorki 5 but clearly the Zorki 6 that shares the same body construction lay-out, and pehaps speed up production. The advance knob has a diferente stripe from rewind meaning two diferente batch eras. and two screws: One on the upper right side of the film frame and the other head of a screw in the second Picture of the lens mount. thanks for your opinions. You are right, the back cover is about 0,5 to 1 cm taller than a normal Zorki 4 back cover. After Christmas I have more time to make some comparison pics. Thanks for the pictures, Ulrich. I understand you could not wait more! 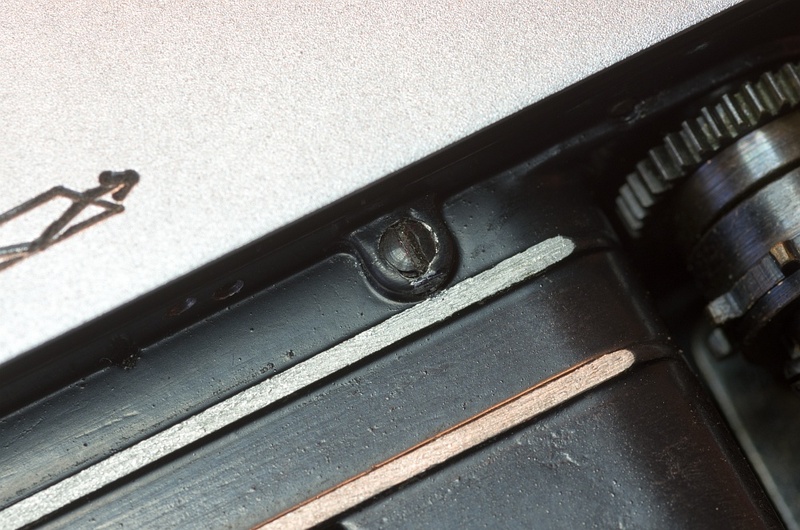 The cover is original and the way to fix it by the hidden screw is very smart! It would be interesting too to weigh this camera and compare to the running production. I think Vlad said it correctly here - "I believe this is a prototype made mid-production as an attempt to simplify the production of the camera with a single-piece top cover that seems like was not approved by the management as it would require significant changes in assembly line at the time"
The single piece top cover in this Zorki is milled, not cast. 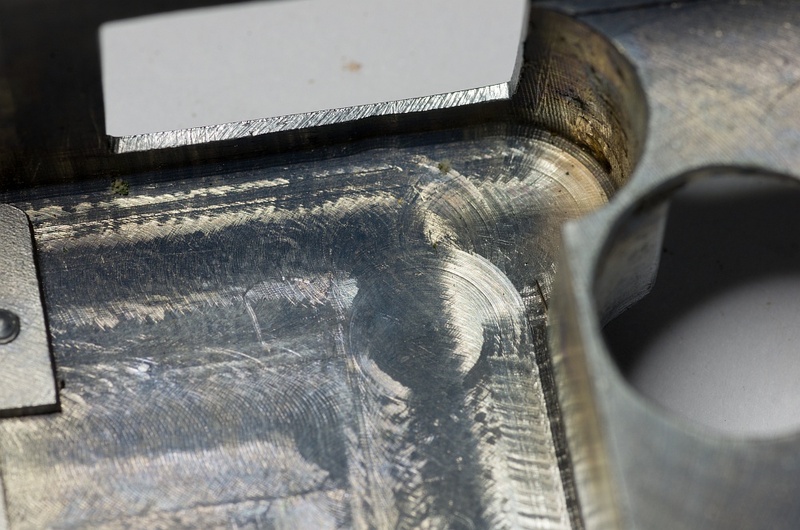 They do not commit to high cost of tooling (form) for casting until all prototyping is finished with milling (same practice in use today, though with 3D printing it is much simple). 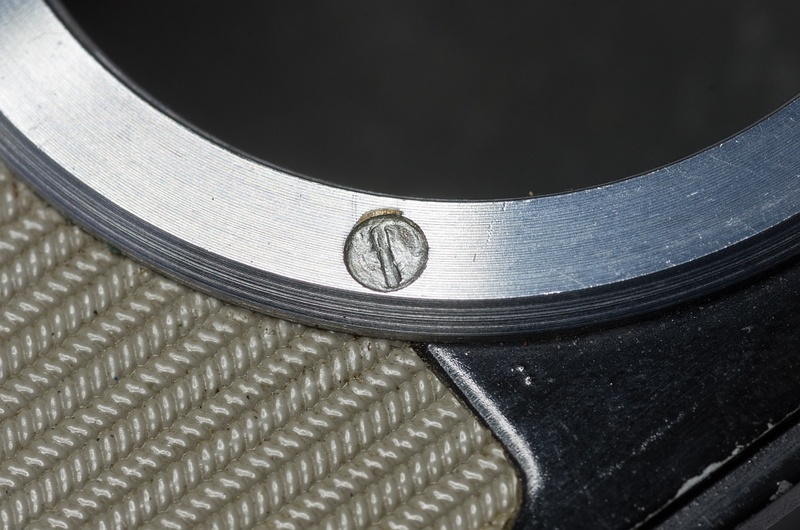 Also, they did not know for sure how to deal with diopter adjustment lever and made it internal with a fixed screw. 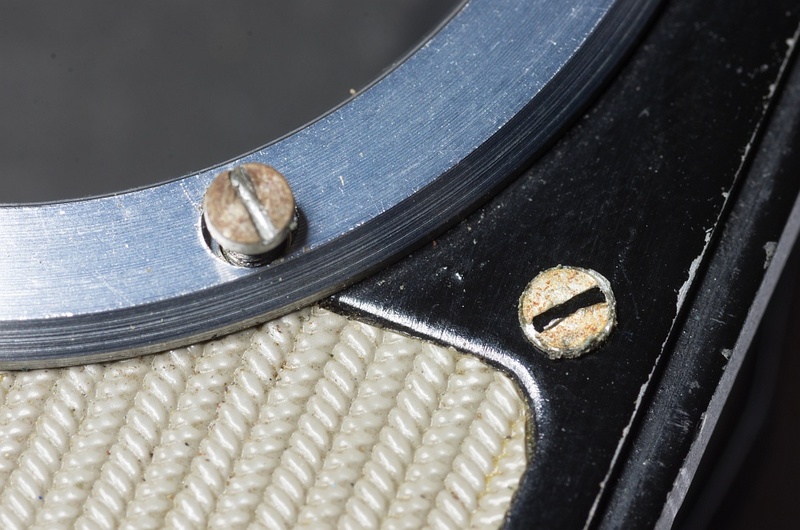 Which is a good idea - there is usually one user, the diopter is adjusted and set with a screw. A usual lever is easy to knock out of position, a nuisance. This must be truly one of a kind camera, we are all lucky to see it here. As I said before I want to try to remove the shutter to see how it is fixed on the body. My thougths were that the black screw on the back and the 4 screws on the bottom of the shutter fixes it. Then I removed the 4 screws on bottom to see if something got loose. 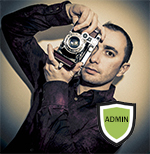 But nothing happens, the shutter sits tight as before. So I have no ideas how it is fixed. On top I don't see any screws that may hold it. according to my experience this camera follows general construction lay-out used on Kristall Zorki 6 and all the following Zenits -3M, E, EM, etc. The intiguing screw has exactly the function I first preview _Nothing! its point nclusive may damage the upper strap. and a Happy New Year to all our USSRphoto companions! 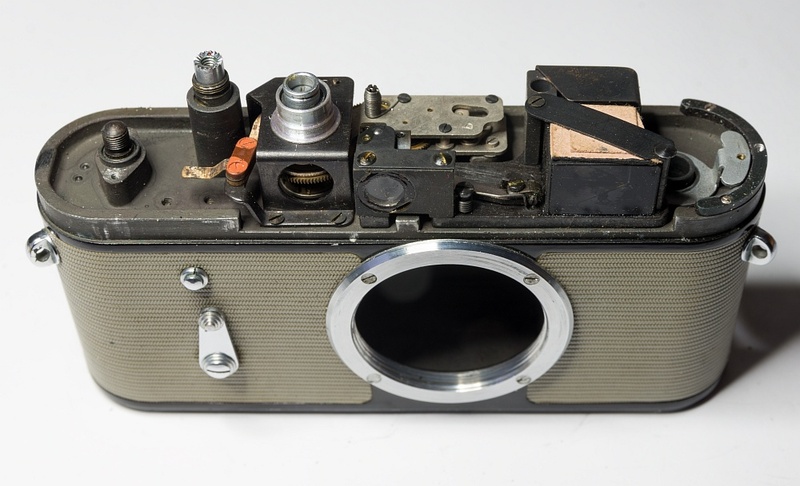 Of great importance for the improvement of photographic production was the proposal of Nikolai Mikhailovich Marenkov - Combine the upper cover of the outer casing, the casing of the curtain, the objective plateau and the camera's rangefinder case into one cast piece. (Previously, these parts were manufactured separately and attached to each other.) 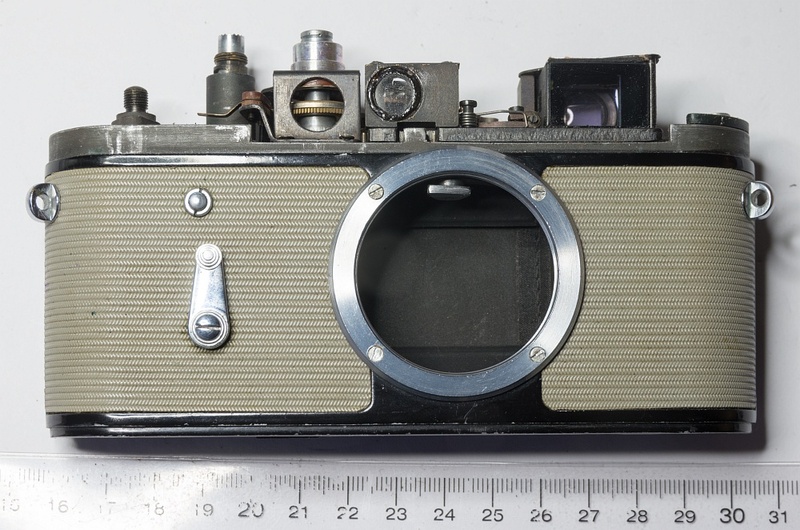 To assess the economic effect of the introduction of this proposal, you need to imagine that the top cover of the camera passed 19 mechanical and finishing operations. The body of the curtain shutter had 18 mechanical operations. 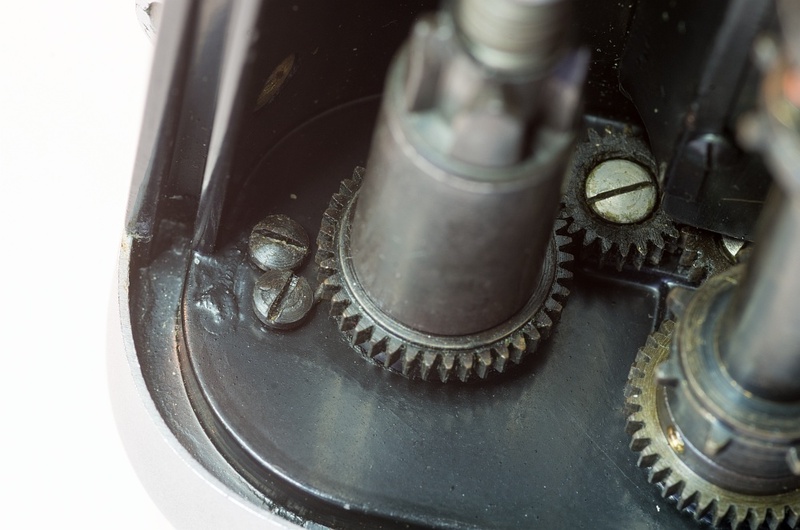 Only by reducing the mechanical processing of parts on each machine, the time savings was 46 minutes. And this is without taking into account the release of workers, machine tools, the elimination of assembly and fastening of these parts. In monetary terms, the total savings during the transition to casting was at least 200 thousand rubles a year. Maybe it was too difficult to produce with needed preciseness? To Juhani's point, casting will allow to produce parts of complex shape easily (once you have the mold) ; however when the shape is complex it is fairly difficult to ensure high quality, and to control it. The geometric tolerances are not as good as on milled parts, so you may run into later difficulties during assembly. 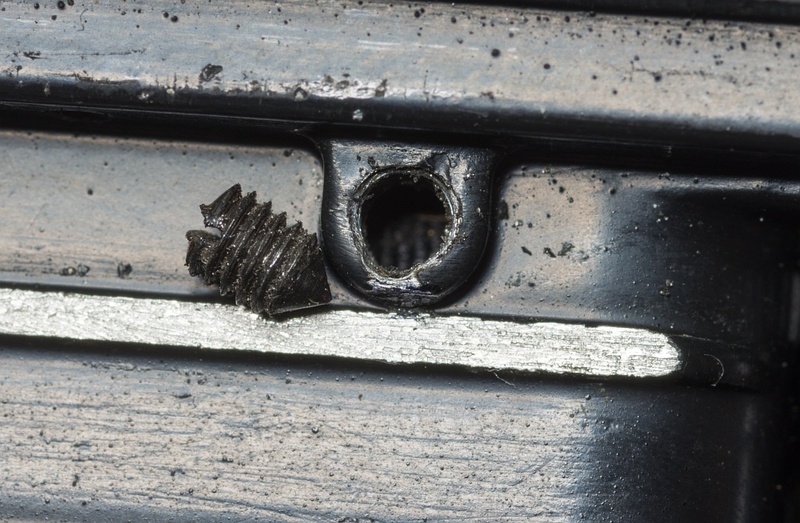 Also, due to uneven alloy cooling-down if the shape is complex, you may have inconsistencies leading to micro-cracks, voids, that will make the parts more fragile. This might well be why, despite significant time savings, a consolidated design was not retained in the end... Of course, bureaucratic routine would be another credible reason :-) ! observe that Kristall asr thefollowing camerato use ths process but it died there wit no further productuin using similar technology. 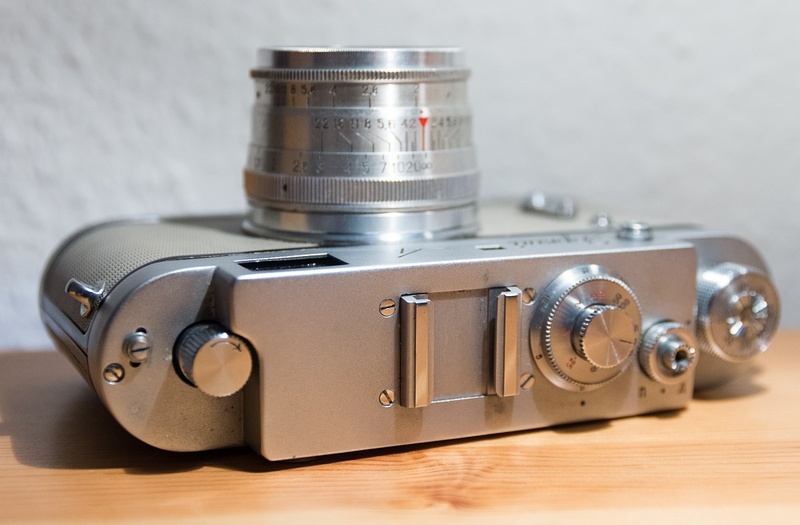 This Zorki 6 type, seen at Aidas site conduct ourselves to believe that the moulded top was used on Zorkis. Ths c�mera was also a matter of discussion in this site some tim ago. I have such camera Zorky-6. If you are interested, I can open and take a photo inside. 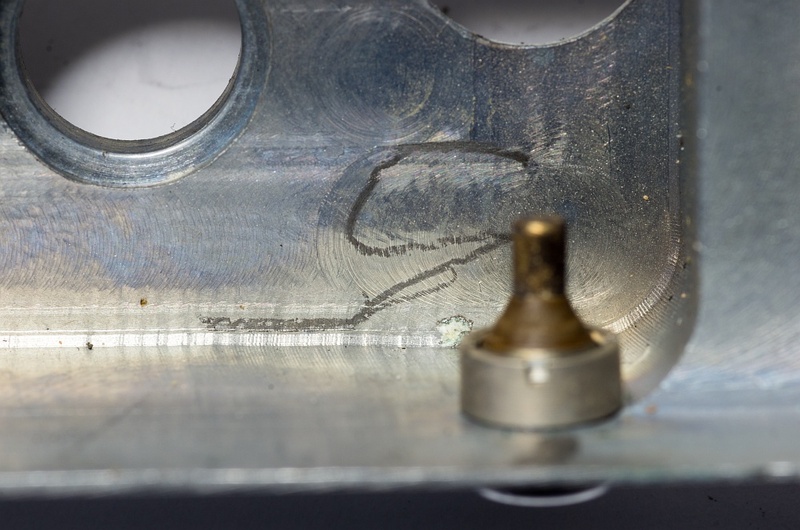 The exact shoe mount finish is another Strong reason of my suspects and of course the name engraving! PS I can't understand the abscence of this model in your site. I myself do not understand why there is not this camera! Fantastic! the top is injection moulding as I suspected! and about the bottom plate?